Papergreat: Happy twelvety-first birthday, J. R. R. Tolkien! 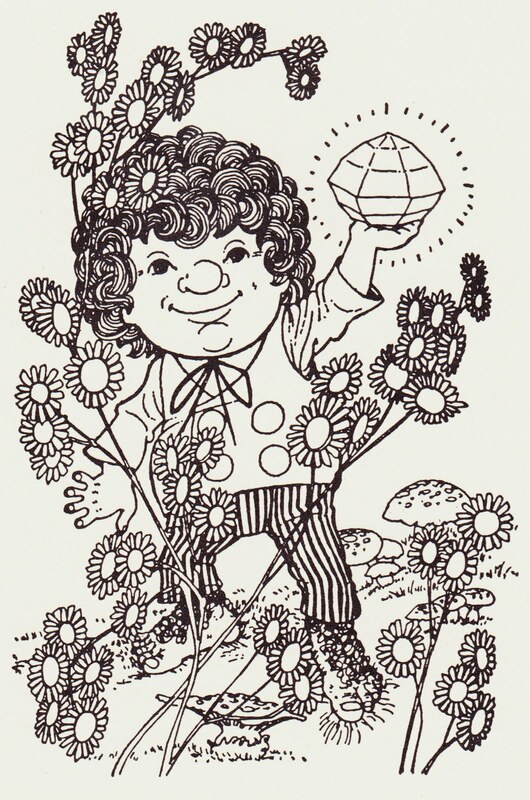 Above is an illustration of Bilbo Baggins with the Arkenstone from the 1976 French-language edition of "The Hobbit. "1 The illustration appears in "The Annotated Hobbit" by Tolkien and Douglas A. Anderson. My wife, daughter and I saw "The Hobbit: An Unexpected Journey" on New Year's Eve and greatly enjoyed it. Sarah's favorite character was Thorin Oakenshield, and her favorite moments were (1) when Thorin came out of the tree to attack Azog and (2) when Smaug opens his eye at the end. For more on Tolkien, including additional international illustrations, check out last year's post on his 120th birthday. 1. I hope that doesn't spoil anything for those of you who haven't read the book and are awaiting the second and third movies.